From live pangolins to tiger bone wine, black market animal products have drawn Chinese tourists across the border. MONG LA, Myanmar — At the busiest market in town, wide-eyed Chinese tourists browse stalls festooned with illegal animal products. Ivory bracelets, priced at just over 1,000 yuan ($145), are stacked in flimsy plastic boxes next to dried elephant skin (800 yuan a kilo). Live pangolins (2,000 yuan apiece) curl into frightened balls inside a cage, waiting to be bought, slaughtered, and eaten. Bottles of tiger bone wine (800 yuan a liter) clutter the floor of another store. 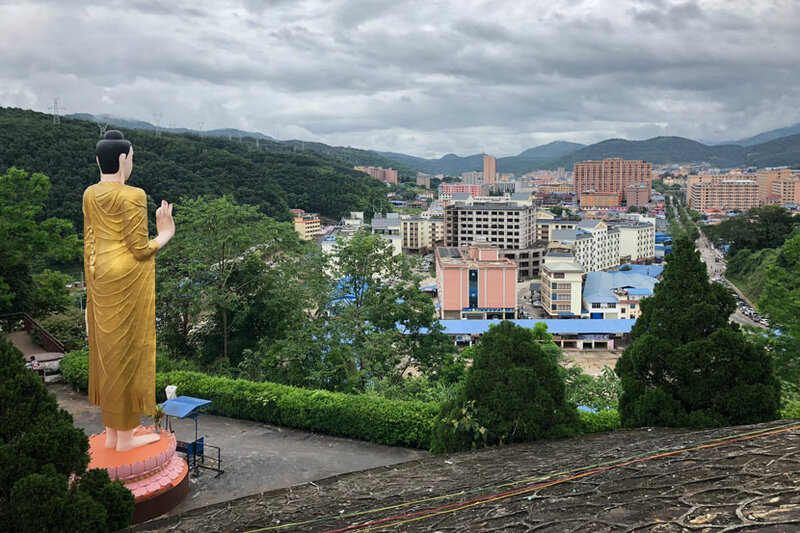 A few miles across the border, in the town of Daluo in southwestern China’s Yunnan province, excited day-trippers wait in line for permits that will allow them to stay visa-free in Myanmar for one day and catch a glimpse of Mong La’s riches. Local travel agencies charge 360 yuan for a daylong jaunt across the border. Company brochures advertise a couple temples in the surrounding jungle, but there’s no doubt what people are really paying to see. “I came here for the novelty, and to eat some game,” one Chinese businessman told me. Like everyone I met in Mong La, he declined to give his full name. Mong La is located in Shan State — a large, hilly province in eastern Myanmar. In recent years, the town’s economy has thrived, largely thanks to Chinese commerce. 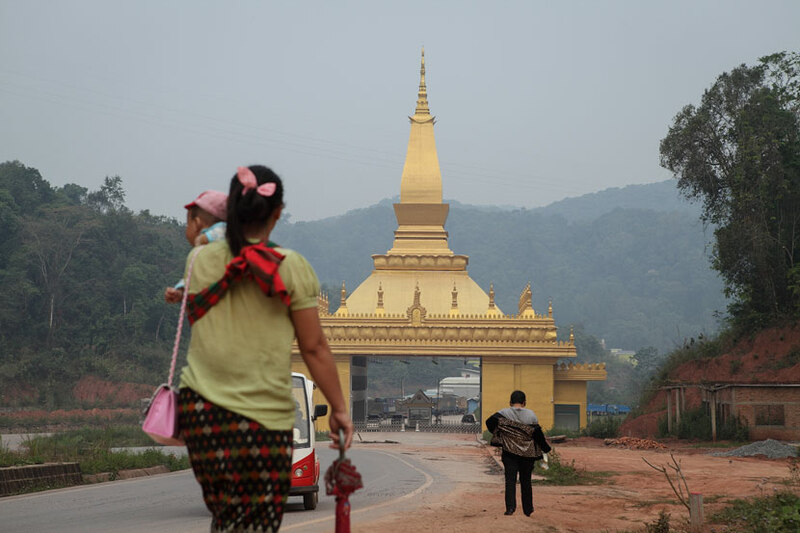 Shi Anda, who researches northern Myanmar at Yunnan’s Cross-border Cultural Exchange Center for Ethnic Minorities, estimates that between 20,000 and 30,000 Chinese people live in Mong La, alongside approximately 80,000 locals. The town’s street signs are bilingual, and virtually every store accepts Chinese yuan. Chinese companies operate Mong La’s electricity and telecommunications networks, and the town even runs on Beijing Time — a full hour and a half earlier than the rest of Myanmar. But although there are no specific statistics on Mong La’s economy, much of the town’s newfound wealth seems to come from two industries: gambling, which is legal in certain areas of Myanmar and illegal on the Chinese mainland; and the illegal trafficking and sale of endangered-animal products. Chinese people are at the heart of the latter trade: In addition to the hundreds of tourists who visit Mong La every day, Chinese businesspeople residing in the town are buying illegal animal products from both Myanmar and abroad, and helping to smuggle them into China. They are assisted by compliant customs agents who do little more than give cursory glances at the large quantities of ill-gotten medicines, trinkets, and jewelry that pass through the border and into Daluo. And Chinese mobile payment platforms, like WeChat and Alipay, allow sellers, couriers, and customers to maintain cross-border transactions. Both China and Myanmar have joined the Convention on International Trade in Endangered Species (CITES). The convention protects more than 35,000 animals and plants worldwide — including many species decimated by illegal poaching — but remains inconsistently enforced. This summer, I went to Mong La to observe the extent of its illegal wildlife trade. Due to the potential dangers of identifying myself as a journalist to wildlife smugglers in an area outside Chinese jurisdiction, I posed as a tourist. With the exception of two experts on Mong La, the names of people I met have all been changed. Instead of joining a tour group, I rented a car in Daluo, hired a guide — a legal requirement — and drove across the border. I half-wondered if I’d be able to find much evidence of illegal activity in just one day. But I needn’t have worried. Elephants, tigers, rhinos, and pangolins — you can buy all of them in Mong La, and merchants won’t even try to hide it. Strolling through the morning sunshine at Mong La’s largest market, I soon saw around seven or eight Chinese-run shops specializing in endangered-wildlife goods. Business owners displayed their WeChat and Alipay QR codes in their windows, ready for quick and easy transactions. A few doors down, Xiao Wu — the nickname of a vendor from central China’s Hunan province — ran a shop called Huizhen Pavilion. By the door, two boxes of tiger bones sat waiting to be steeped in wine — a concoction spuriously believed to be a health tonic. Tiger and leopard skins were stacked on shelves; a whole rhinoceros horn was the counter’s centerpiece. More than 1,000 rhinos were killed by poachers in Africa last year — many of which have fueled the thriving illegal trade of African rhino horns in Vietnam and China, where it is sold as an aphrodisiac. 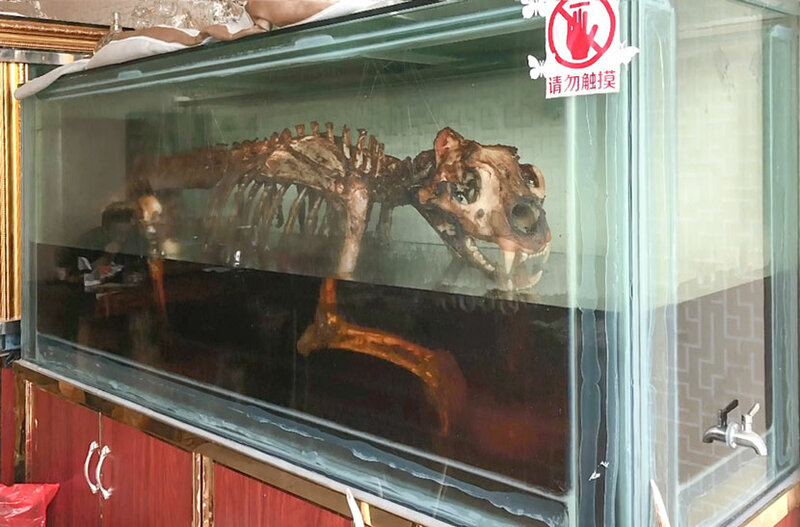 Down the street, tourists paused by an arresting sight: A whole tiger skeleton stood assembled in a glass tank, its now-blackened bones steeping in foul-looking wine. The proprietor, a 30-something former architectural design worker from Yunnan province surnamed Liu, ushered me inside. 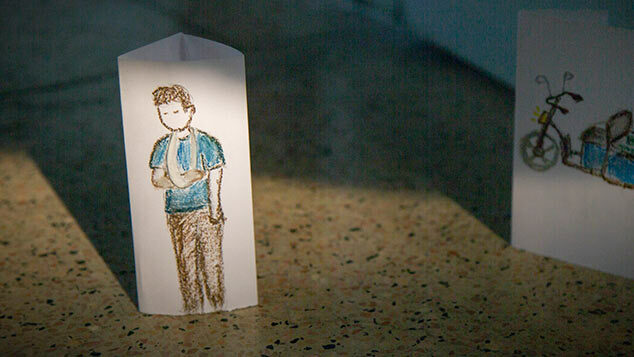 “My previous job was boring, so I came here and opened a business,” Liu explained. He moved across the border around a year ago. At first, Liu said, he made a living from selling uncut jadeite to gamblers hoping to find valuable jade inside. But when the competition became too fierce, Liu turned to wildlife. Other sellers echoed Liu’s sentiment. 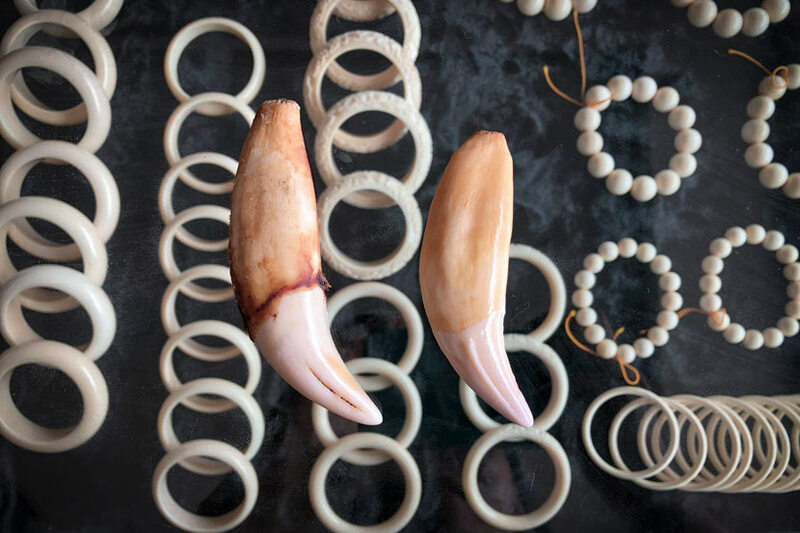 Both Ah Bing and Xiao Wu said that they buy ivory and rhino horns directly from Vietnam — occasionally visiting the country itself to preview the goods — but that the middlemen source their products from Africa. I walked out of the market and headed downtown, where I stopped at a Chinese restaurant run by a man born in Yunnan. Like many of the other food joints, freezers full of snake and pangolin meat were out front. Out of interest, I asked if he sold, say, tiger meat. “Sure — 880 yuan a plate. Want some?” I declined the offer and ordered the stir-fried vegetables instead. Vincent Nijman, an anthropology professor at Oxford Brookes University in the U.K. who specializes in the international wildlife trade, has made numerous trips to Mong La since the mid-2000s. He estimates that he has identified 60 or 70 endangered species in the town. “The first time I went was in 2006, when there were quite a few wildlife products on sale, but most of them were from Myanmar. Since around 2010, there have been more and more wildlife products on the market from other Asian countries, and some even from Africa,” he said. Shi, the Yunnan-based northern Myanmar researcher, said that poaching was historically a problem in the region. For a time, official efforts to develop the rubber industry from the late 1990s onward sought to push local people into legal means of employment. Much of the jungle around the town was converted into rubber plantations, but since the mid-2000s, the price of rubber has plummeted, as oversupply and a lack of downstream processing hit exports to China. Consequently, Shi said, some locals have once again picked up their hunting rifles. 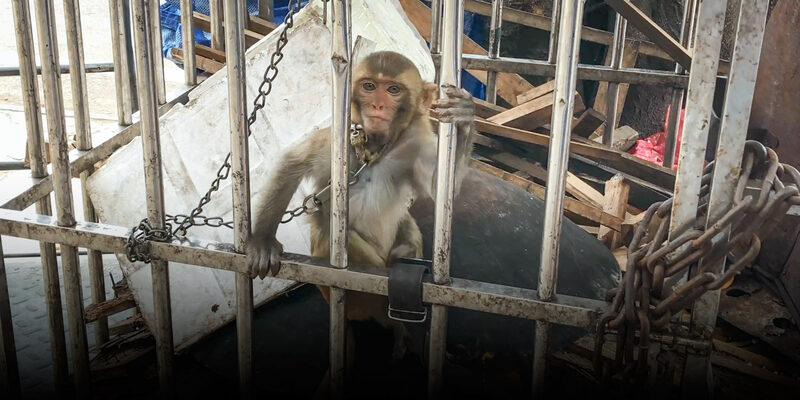 Nijman believes the way to solve the issue is to cut off power to the animal traders — just as the Chinese government did to combat drug traders and illegal gamblers in other Southeast Asian border towns. To stem the flow of domestic tourists traveling to Myanmar to gamble, the Chinese government cut off electricity and telecommunications to the gambling industry’s major players. (Critics say the move only drove the casinos farther into the jungle — out of reach of Chinese authorities — but that they have remained easily accessible from Mong La.) A similar approach was taken in Boten, a Laotian town bordering Yunnan whose gambling dens were once a haven for illegal narcotics traffickers. There, too, the Chinese cut off power and restricted numbers of tourists into Boten. But Shi favors measures that help Mong La’s residents find alternative — and legal — livelihoods. Crackdowns like the above, “hack at the root, but don’t solve the long-term problems,” he said. In August, police in Yunnan recently announced the seizure of more than 600 illegal ivory goods from couriers in Daluo. Although the news made headlines in China, the actual amount seized was a mere drop in the ocean compared to the sheer scale of animal products I saw at the market. 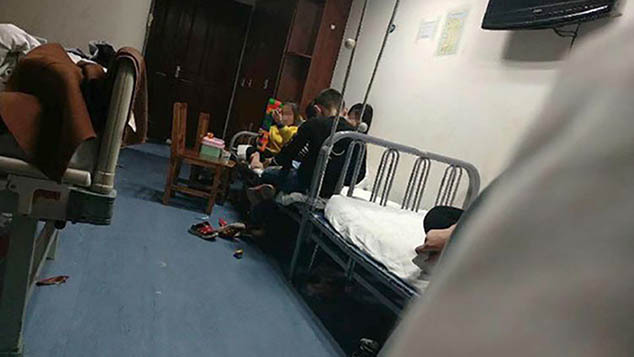 When I called the Chinese customs bureau in Daluo for this story, they referred me to the provincial bureau in Kunming, which in turn referred me to the national customs office in Beijing. The Beijing office refused to answer questions over the phone. As the afternoon wore on and vendors packed up for the day, we got back in the car and followed the caravan of tour buses back over the border to China. 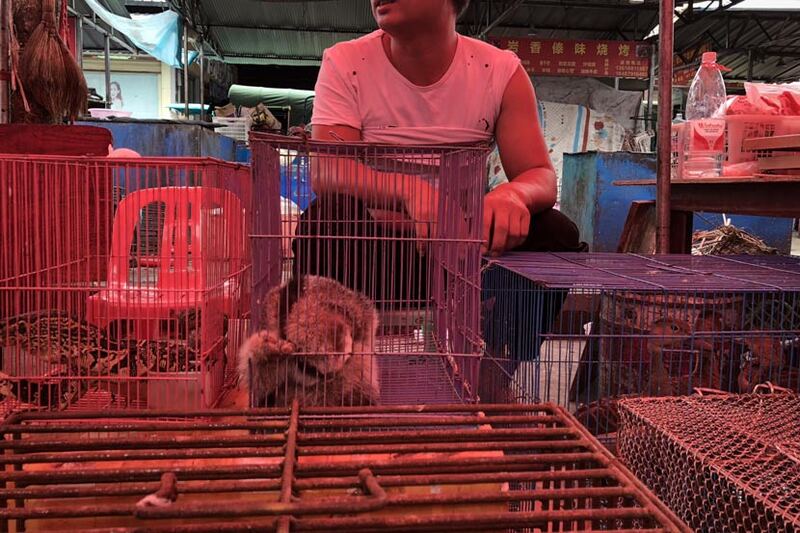 Many people on board spent their days browsing Mong La’s illegal wildlife market. As each vehicle — ours included — pulled up to the gateway back to China, border agents popped the trunks, took cursory glances, and waved everyone through. Translator: Matt Turner; editor: Matthew Walsh. A Chinese version of this article originally appeared in The Paper, Sixth Tone’s sister publication. 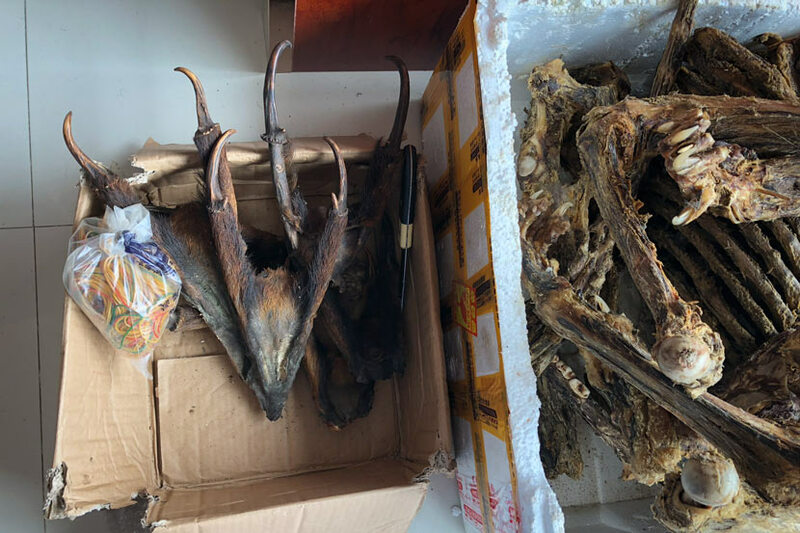 After that article was published, the State Forestry Administration of China and the Forestry Department of Yunnan formed a steering committee to investigate the alleged smuggling of illegal wildlife products at the border in Daluo.